"It will go faster if Brian and I help," offers Steven. "No it won't," says Barbie. 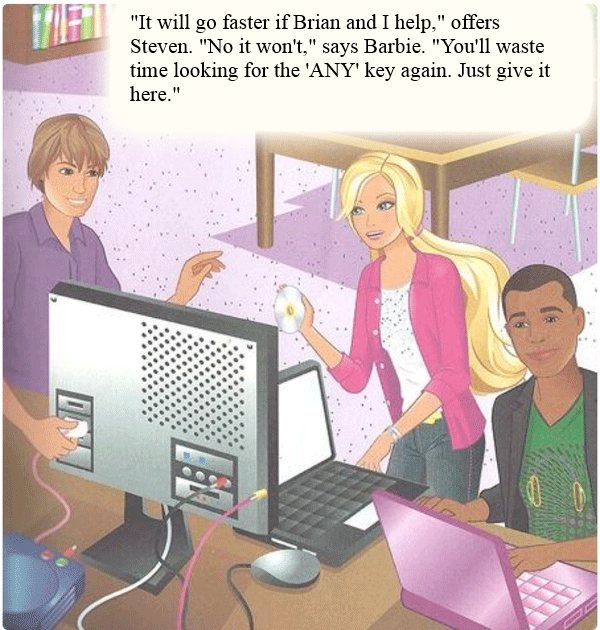 "You'll waste time looking for the 'ANY' key again. Just give it here."